You don’t have to born a blonde to be a blonde bombshell and you certainly don’t have been born a red head to be a fierce red head. In fact only 2% of the population is born a red head so chances are you not but it’s a hot option and there’s a shade for everyone. Brunette is common, blonde isn’t for everyone but red hair is versatility, trendy but still bold and unique. 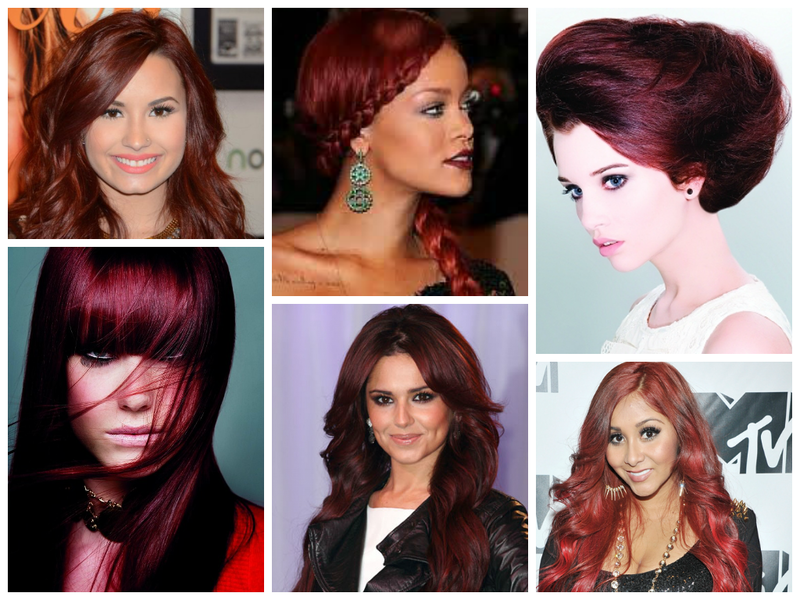 Red hair hues are probably the most versatile of the hair color world. You have copper, strawberry blonde, auburn, orange, bright red, almost purple, tangerine, and so much more. So let’s first ask if red is right for you and then let’s look at some amazing red hues. A lot of red hair colors have a brown base or undertone because brown is in typically in hairs pigment already. Having brown hues mixed in with your red will give it a more natural look but then again when it comes to red hair you don’t always want a natural look. Regardless of au-natural or au-not-natural looking you want your red tresses, you should choose a color that works for your skins undertones. Light skin tones: Fair skin is the best for red hair, particularly those who have a hint of pink in their skin tones. You will want to choose a red hue that is light, golden or strawberry blonde. Avoid those deep burgundy colors because you might look washed out. Medium skin tones: Great colors for a medium skin tone are copper, auburn or a darker strawberry blonde. Avoid those deep purple colors though. Dark skin tones: A great medium auburn color looks great with darker skin or those bold and bright red colors – just make sure they don’t have too much blue in them. Just about everyone can look great with a red hair color but red works the best for those who have cool undertones and have green or blue eyes. If you have damaged hair then it’s best to avoid dying your hair red. Red hair is the fastest to fade and if your hair is damaged the color will fade even faster and repeatedly dying your hair won’t do anything for its health. Remember that red hair is head turning so if you prefer to not be noticed in a crowd, perhaps red hair isn’t the best option for you. It’s a good idea to gradually go red rather than all at once so that you can make sure it’s right for you. Now that you have determined red hair is a fiery hot color and you absolutely must have it – check out these amazing shades of red. Strawberry blonde has a wide range of shades. From the sun kissed red head to the blonde with subtle red hues. These colors can work for every skin tone depending on the amount of blonde and red you use. A pale skin color should have more red while a dark skinned girl would look perfect for with a blonder color. Auburn is a reddish-brown hair color and it ranges from a medium dark color to dark. Auburn also includes maroon who can be almost purple but as long as it has a brown and actual red color it’s considered auburn. Because of it’s brown base it can look great on array of skin tones. Burgundy is when you have a color mixed with purple. Though it can be brown or black with purple tones, for our purposes we are talking about burgundy and red hair color. This darker shade is trendy right now with celebs like Snookie, Rihanna and Selena Gomez rocking the hair color. Copper hair color is regal and warm hair color that is perfect for so many women. There are countless variations of copper hair color (like all shades of red). Copper is seen blended with blonde, brown and orange hair. Copper undertone red colors are the natural and warm looking. There are boundless options when it comes to choosing a red hair color. Narrow it down by determining which shades work best for your skin tone and eye color. Then you will be able to focus on red hues that truly compliment you.